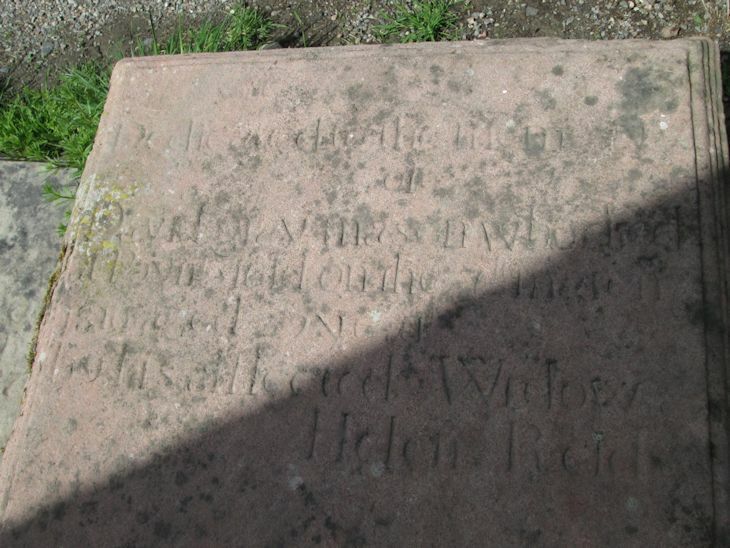 Here, you'll find records and photographs of inscriptions on headstones in burial grounds and cemeteries within Ross & Cromarty, Scotland. Eighty-one burial sites are covered (about 16,000 images). Click on Albums to see the list of burial grounds covered. There are other pages intended to give some background for your forebears' life in this part of Scotland (accessed from the Main Site). Below are notes to help you in using the database. The Parishes & Burial Grounds pages can be accessed from the buttons below. All contributions of images are appreciated......special thanks to Bill Fraser and Tina Glen-Riddell, who have supplied images of whole burial grounds, together with location plans. There is no charge for accessing the database. If you wish to copy information or images, it would be good if you would acknowledge this site as the source. I hope you enjoy using the site. If you are looking for more information or help with your research, please email me at info@rosscromartyroots.co.uk. A similar website for the Isle of Skye can be accessed at www.skyegravestones.co.uk. GAELIC TRANSLATION....ANY VOLUNTEERS TO HELP WITH THIS, please get in touch. Disclaimer: the information displayed on this site is provided in good faith. Mistakes can arise in transcription of inscriptions. Rosscromartyroots cannot be held responsible for any loss arising from such error. More about the searchable image database. The database is searchable by surname in the Quick Search box. The Advanced Search accepts combinations of personal names, year (of death) ranges, places, and burial sites. The searches can be sensitive to differences between eg. Macl, Mcl, McL, mac, mcl etc. Above each selected headstone picture are details of who contributed the image, the year it was put on the website, and the name of the graveyard. The picture number is unique to that image (stone) and can be used in the simple search box for quick access. You can add a particular image page to your own Album; first register your Album, via the My Album button below, then click on 'Add to my Album' on the image page. Under a particular photograph, there are a title, and a full record of the inscription. Below the record summary you can add Comments, for example, about relevant research you may have done about the same, or, linked families. Any contributor receives email notification when further Comments are made on an image they have commented on; alerts are also given to those with that image in their Album selection. In this way, useful collaborations can arise across the globe - a very powerful tool for family researchers. Maiden Names: many inscriptions give clear information about wives' maiden names [eg. Jane Macleod, wife of Alexander Mackenzie]. However, where the inscription shows the wife's surname to be the same as her husband's, this is used in the database as her surname, not her maiden name (although, it may well be her maiden name). Photographs: the legibility of the inscription depends upon the material and colour of the stone, and its surface condition. Polished light-coloured granites are especially difficult due to excessive reflection, and lack of contrast of the lettering. Even where legibility is poor, a photograph is included. Cut off date: the database and photographs cover dates of death up to 31 December 1979 (unless the family wish to have the more recent information displayed). Therefore, some headstones images may be ‘cut-off’ to exclude later deaths, others may have sections of the image 'painted out'. Where this occurs, that part of the inscription will be designated "recent" in the description. Lost information: headstones deteriorate through time; vegetation can encroach quickly; stones fall over and become covered by moss and grass. Where information is included from earlier surveys (eg. by the Highland Family History Society), it is enclosed by double asterisks **............**. Where part of an inscription is difficult to read, it is shown with a best guess, followed by a query - [guess?]. Blanks within the inscription are illustrated by a series of dashes ------- . Plans of Burial Grounds: Where a plan is available for an image, the relevant number or section will be added to the description on the image page. There will be a direct link from the image page to the appropriate plan. General caution: Be aware that some inscriptions may contain wrong information, particularly about date of death, where errors can arise. Donald & Margaret (Stewart) McDonald.